Et oui sa peu paraître surprenant mais Reebok sortira prochainement une Insta Pump HLS aux Couleurs de Coca-Cola. En effet cette Fury HLS est toute de Rouge avec sur son talon la vague si propre a Coca. La paire sortira le 22 Décembre sur Zozotown, de plus celle ci sera édité a 400 Exemplaires Monde. 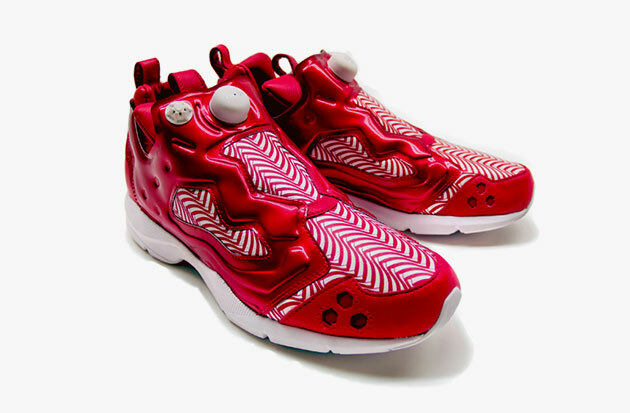 And yes his its little seem surprising but Reebok will soon bring out Insta Pump HLS to the Colors of Coca-Cola. Indeed this Fury HLS is quite of Red with on its heel the wave so appropriate has Coca. The pair will go out December 22nd on Zozotown, furthermore that this will be published has 400 pairs worldwide.